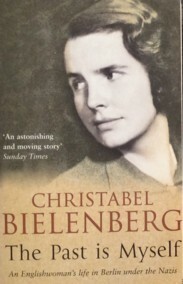 Christabel & Peter Bielenberg were married in 1934. She was English but she gave up her British citizenship to live in Hamburg with Peter, a would-be lawyer from a liberal family. The Bielenbergs & their friends thought that Hitler was a joke; they couldn't believe that his crude appeal to xenophobia & nationalism could really succeed. However, as time went on, they became more & more distressed by the direction Germany was taking. Peter qualified as a lawyer & joined his father's firm but, when a client who had been acquitted was immediately picked up by the Gestapo & rearrested, he could no longer see any point in practising law. By the time war broke out in 1939, Peter was working for the Ministry of Economics, eventually spending most of the war managing an aircraft factory in Graudenz. Christabel & their three sons were living in Berlin until the bombing became too intense. They spent most of the war in a village in the Black Forest. Peter's friends including Adam von Trott, one of the group who planned the July 20, 1944 assassination of Hitler. When the plot failed, Peter was caught up in the aftermath, arrested & eventually imprisoned in Ravensbrück Concentration Camp. Chris was able to get an interview with the Gestapo officer in charge of Peter's case & convinced him of Peter's innocence. He was released & went into hiding for the rest of the war to avoid being called back to his Army unit. The book ends with the arrival of Allied troops at the end of the war. This is a fascinating memoir that shows a different side to the war. I've read many books about the Home Front in England but very few from the German side, let alone by an Englishwoman in Germany. The threat of the Nazis becomes more evident as the years pass. Soon, the Bielenbergs are wary with new people, sounding them out before they can speak freely. Even a joke about Hitler or an unguarded comment can lead to prison. Living under such constant strain must have been wearing. Peter was involved on some level with the German Resistance who opposed Hitler & must have been under surveillance. I found it astonishing that Chris didn't suffer from discrimination because she was English, even as the Allied bombing raids intensified. I can't imagine that a German woman would have avoided internment in England during the war. It may have been due to class. The Bielenbergs were a comfortable middle-class family & when they move to Rohrbach, the villagers do all they can to make Chris & the children feel at home. Life in Rohrbach goes on much as it always has, apart from the problems of rationing. There's only one Nazi in the village but no-one pays any attention to him. When an American airman is shot down & finds his way to the village, the Mayor rings the nearest town for instructions. When told to lock him up, the only police cell is cleaned, the bed made with fresh linen & an enormous meal offered to the exhausted American. I couldn't help but think of the scene in the movie Mrs Miniver when a German pilot is shot down & spouts Nazi propaganda to the last. Once Peter is arrested, the pace of the narrative quickens & it reads almost like a thriller. Chris gets permission to see Peter in Ravensbrück & her journey by train (in a compartment with the wife & daughters of the Camp Commandant) & then the long walk around the perimeter of the camp is incredibly tense. Her journey to Berlin to see Lange, the Gestapo officer, & her interrogation, is also full of tension but the anger she feels drives away her nerves. She describes the ruins of the city, meets an old friend who now lives among those ruins, & realises how safe she has been in the country. She is saved from almost certain death when a stranger advises that she leave her train & take the Underground. Later she hears that the train was bombed & many people killed. On her journey back to Rohrbach, she finds herself alone in a carriage with an SS officer. He tells her of his life in Riga in Latvia &, as his family was persecuted by the Russians, they thought the Germans had come to liberate them. He had Aryan looks so was recruited for the SS & participated in the massacre of Jews in Poland. Once he knows that Chris is not German (she tells him she's Irish) he pours out his story. When Peter is released from prison, he tells Chris what happened to him through one long night. He never speaks of it again. He was extraordinarily lucky to be prevented by his work from being with the conspirators on July 20 & so was able, with Chris's help, to be released. Until the war ends, Peter hides near Rohrbach & the whole village must be aware of what is happening. Chris wrote The Past is Myself in the 1960s & she was criticized for what some critics felt she left out. She does mention the persecution of the Jews & she shelters a Jewish couple for a couple of nights. However, there's no mention of the Holocaust at all. She acknowledges that she & her family were fortunate. Their life in Rohrbach was comparatively safe, away from the devastating raids of the major cities. The villagers seemed to be sensible, pragmatic people who turned a cynical eye on their government even though they weren't free to express their feelings too openly. Even Peter's involvement with the assassination plot was peripheral & he was lucky to be released. Luck seemed to be with the Bielenbergs at every turn. When faced with these criticisms, Chris said that she wrote the book with the knowledge she had at the time. Like many Germans she found it difficult to believe in the enormity of the camps. The newspapers were censored & she just didn't know, even though she should have been in a position to know as Peter was part of the opposition to the regime. She wrote the book to show another side of Germany to counteract the stereotype of all Germans being Nazis. I think it's valuable to hear stories from all sides & Chris's perspective as an Englishwoman is very revealing. The book is a gripping read & I found it fascinating. Christabel Bielenberg was on Desert Island Discs in November 1992 & I found it very interesting to listen to this after reading the book. 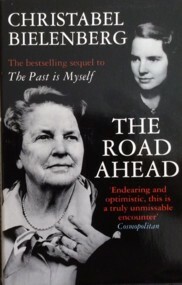 I also have the sequel to The Past is Myself, The Road Ahead, on the tbr shelves which describes life after the war when the Bielenbergs lived in Ireland. I first saw Christabel played by Elizabeth Hurley and her husband played by Stephen Dillane. I loved it so much I read the book. What an interesting piece of history! I've seen a clip from that TV series & would love to see the whole thing. It is interesting to see other viewpoints & Christabel's position as an Englishwoman in Germany was fascinating. Memoirs can be challenging, especially when separating fact from (either innocent or other-than-innocent) fabrication. (I think if the Tennessee Williams memoir as being one of the most infamous fabrications.) What is your sense and assessment of this memoir? I think it's a valuable reflection on what people in Germany knew at the time. It's hard to believe that someone like Chris wasn't more aware of the camps but, as she says, the papers were censored & she lived in the country most of the time. She probably didn't believe what was in the papers but had no way of finding out anything different. A memoir isn't history written & researched by a historian. It's subjective & I think we have to allow CB to give her version of her experiences. It was so interesting to read a different angle on those years. I have read both this book and its sequel and found them fascinating. The sequel is understandably less dramatic, but still interesting. It does seem that the Bielenbergs mainly moved in circles that were sceptical of the Nazis. I remember seeing a TV adaptation written by Dennis Potter, but I have to admit that I did not like it. I haven't seen the adaptation, only a clip on the internet, but I would like to read the sequel. It's on the tbr pile now. This sounds very interesting. 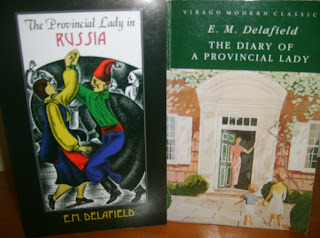 I have read many books about the Home Front in Britain but I have not read that much from the German perspective. We are so aware of what did happen during that time but obviously not everyone in Germany would have had a full comprehension of events at the time. That is one reason I enjoy reading memoirs. They give such a good picture of what people were thinking and feeling at the time. I will have to look for a copy of this. I love WWII Home Front stories as well but, as you say, there's very little from the German perspective available in English. I hope you can get hold of a copy. It was so interesting to see the war from the other side. Although the critics thought she left a lot out, she has always said that she only described what she knew at the time which is a valid way to write a memoir, I think.